When we love others sometimes we experience hurt. Perspectives and attachments such as betrayal and blown expectations can be devastating. And we tend to cling to the hurt. We poke at the wound as though somehow being reminded will “save us” from it happening again. But it doesn’t. It just causes us to suffer and robs us of our light. When it hurts and you’re tempted to pick at the sore place in your heart, remember. This is the Home of the Beloved. The Beloved has dwelt there long before your birth and will never leave you. It’s never hurt you. Its Face is reflected upon anyone you’ve ever loved and those you haven’t. Even upon your own reflection. Love this Beloved with the deepest abandon, as you’ve always wanted to. Let the hurt remind you your Beloved is there waiting behind the bruise. Instead of poking the pain, express your love to this Beloved. Let go of the pain and sink in the Love that’s there. 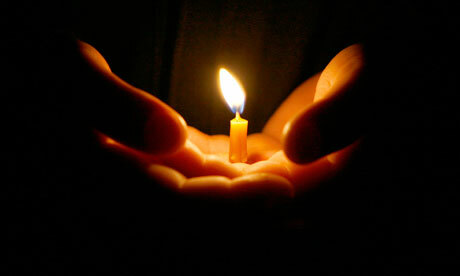 Be healed, for the Light of the Beloved shines for you. Always. And live without fear. Eckhart Tolle: Can you comment on asking for help? Eckhart gives a brief insight deeper questions and answers… Who am I? The reason why people with differing beliefs tend to clash is this: a belief is not Knowing. Belief is intellectual and is the creation of your own ego regardless of how you arrived at it. Nothing will defend itself to the death like the ego-mind, so it will raise up in defense of itself. Examine a belief and accept the truth it brings you to, then release it. The truth alone will remain and has no need to be defended. It stands alone without effort. The Thank You Award… A Million Thanks! Dear Kitty. 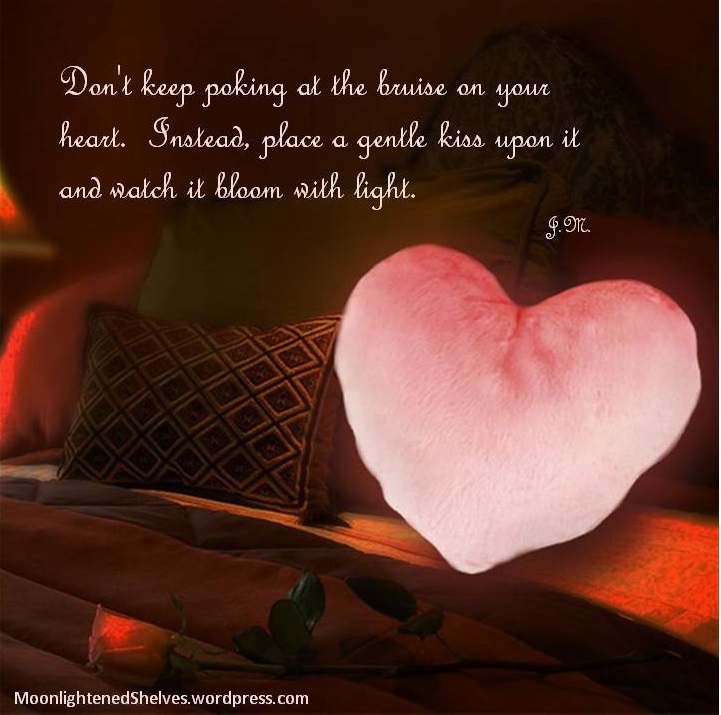 Some Blog has been so kind to nominate Moonlightened Way for the Thank You Award. It’s such a delight to be appreciated! So a million thank-you’s back to you! 1. 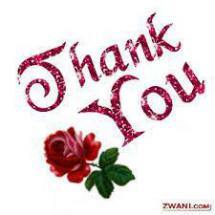 As usually a big thank you and a link back to the person who nominated you. 2. Mention 5 things you would like to do with your life, no matter how mad or tame. 3. 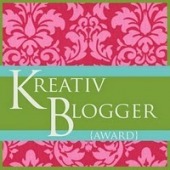 Nominate six bloggers, link to them and say why they have left their mark on you. Hence the name “The Thank You Award”. 5. 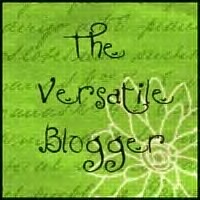 Say a big THANK YOU TO EVERYONE ON WORDPRESS!! 3) To know that I’ve in some way made a difference for the better in this world. 4) Make friends with my own mind. 5) Visit Ramana Maharshi’s ashram. The Bard on the Hill – Dennis’s blog has led me to some of the most beautiful poetry in which I find my own inspirations. 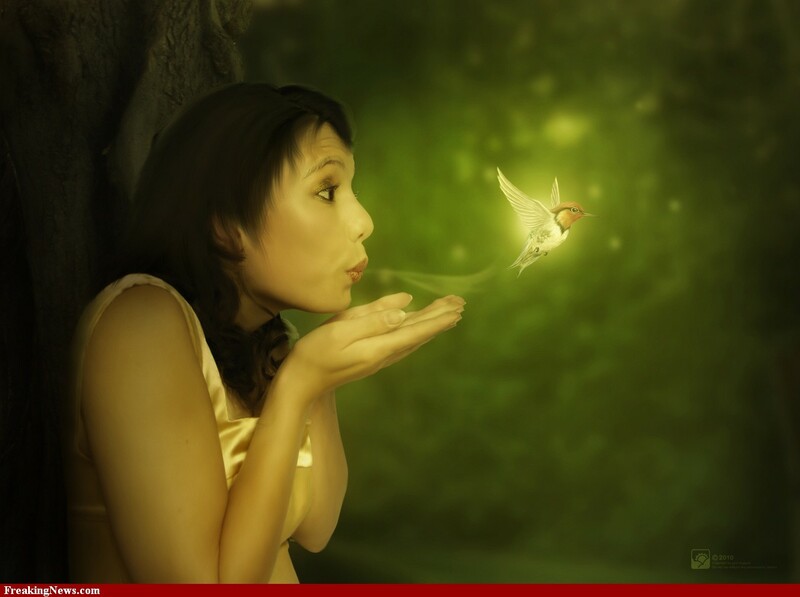 Known is a Drop, Unknown is an Ocean – I enjoy the like-mindedness of this spiritual blog. A wonderful source of information and inspiration. Joy in the Moments – Charissa’s blog has been an inspiration to me as a writer. It was because of Charissa that I pursued my first self-publishing venture! Her blog is both informative and whimsical. I realize this list is truncated but I haven’t been devoting as much time to blogging and I’m a little behind. Thank you again and thank you to WordPress. If you’re not familiar with the term “desertification” I would highly recommend watching this video. Why should we care about it? Desertification has been responsible for wiping out entire civilizations in the past and it’s no speculation that it will be the destruction of a lot of the life on this planet if it’s not reversed. It’s a fact. Allan Savory is a man on a mission: To save the planet. And he’s going to do it. He’s already got documented large-scale successes. Watch, learn, and see what he’s doing. This is a perfect example of how not complacently buying into current paradigms can have a dramatic and positive impact on the lives of all of us! This is my entry for January’s Music Passion. Every month, bloggers are posting one of their favorite songs based on each month’s theme. This month’s theme is “jazz”. I absolutely adore Norah Jones. Her voice is purely magical and this song, “Come Away With Me” is my all time favorite. Norah was born Geethali Norah Jones Shankar, March 30, 1979, to famed sitar player the late Ravi Shankar and Sue jones. She is also half sister to the talented Anoushka Shankar. She has won 9 Grammy Awards and was declared Billboard’s top jazz artist of the decade for 2000-2009. If you’d like to participate, jump on over to Allaboutlemon for more information and jump on in! The blogger posting the video which receives the most “likes” for the month gets to choose the topic for next month. 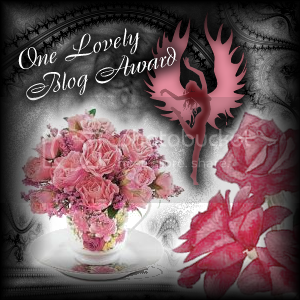 Blog of the Year 2012 Award! Thank you! 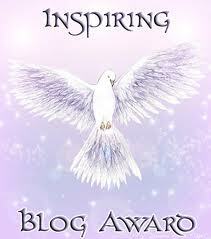 I am delighted to share that Moonlightened Way has received the Blog of the Year 2012 Award. This honor was bestowed by Ganesh of Known is a Drop, Unknown is an Ocean. If you haven’t visited his blog, please do. It’s jam-packed with insightful information from spirituality to health. Thank you so much, Ganesh! 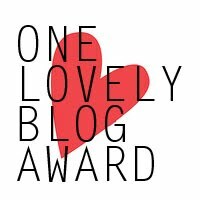 Select the blog(s) you think deserve the ‘Blog of the Year 2012’ Award. This means that you can check out your favorite blogs – and even if they have already been given the award by someone else – you can still bestow it on them again and help them to reach the maximum 6 stars! Congratulations to you all! You deserve it! No Zombies but Welcome to the New Age Folks! It’s 12-21-2012. No Earth shattering meteors. No zombie apocalypse. (Okay, I’m seriously disappointed about the zombie thing. I’ve been practicing my double-tap for months.) But, strangely I woke up filled with joy. This is a rare phenomenon for me. It takes at least a cup of coffee and a romp through Facebook to stir any emotion like this in me. So, in honor of this amazing occurrence, I’m putting away my Batman helmet, folding up my bath towel cape and rolling my special zombie double-tapping baseball bat back under the bed. But I’m still scratching my head. What exactly did the Mayans and other cultures mean by their end of the world scenario? Much has been discussed and pondered to the point I think we’re all a little dizzy from it. However, it seems the conclusion has come down to a common theme. It’s the end of an era and the beginning of a new age. We are on the doorstep of change. I have no clue really if some mystical unseen event has catalyzed this. Perhaps somewhere someone has reset humanity’s karmic debt load and we get to start over. I don’t know. But what I can see, regardless of how absurd it all seems, is a tremendous gift that’s been handed down across the centuries by ancient cultures all over the world to us. Right here. Right now. The gift is the implantation of an idea. A global idea. One of hope. One of change. One of determination. All this end-of-the-world hoopla has caused a vast amount of people to sit down and consider change. Can you recall any other time in the history of humanity that one single idea has been on the minds of all of Earth’s population simultaneously? How mind-blowing is that? This new world is being born right between our ears! You can scoff it or dance in the streets. It doesn’t matter. The seed has still been planted. This seed, this beautiful idea, is going to grow. There are too many of us weary of old ways. Too many of us ready to change, to be different, to be better. A subconscious decision has been made. The power of an idea this pervasive can’t be denied. Not when it sits in the minds of so many. So this seed is going to grow. It’s going to be fed, ever so slowly, by our love, compassion, hope and determination. And as that flower begins to bloom, we’re going to be looking up at it with sense of awe and wonder because our collective loving green thumb brought it into being. Welcome to the New Age, folks. I’m so happy to be here! Oh, but just in case the world does suddenly explode or my brain is eaten by zombies, my last act as a living human being will be to smile because I know I have lived my last moments in this beautiful idea. Even that’s enough for me.